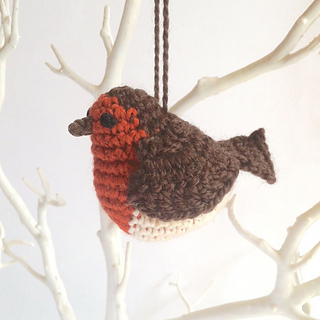 Totally adorable tubby robin which you can make as a hanging ornament or to stand on a surface. 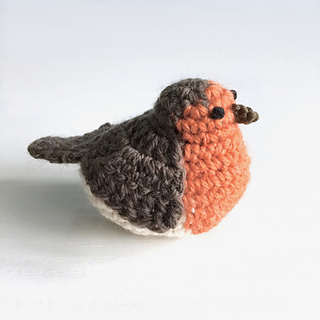 Worked in traditional colours these make a great gift for a nature-lover or would be perfect on your Christmas tree or as a table decoration for your festive feasts. 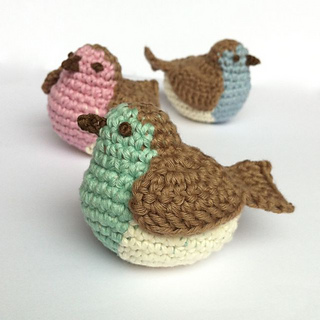 Use different colours for Easter ornaments, a sweet baby’s mobile, key fob, bag charm, or even an original toy for your cat! 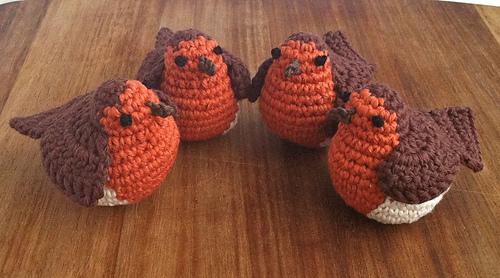 Of course you can work a larger or smaller robin using thicker or thinner yarn and varying your hook size accordingly! Or work in different colours for a different effect. 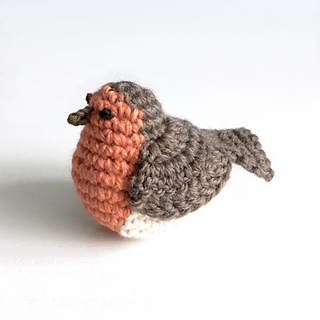 A complete kit for this robin including all the yarn you need is available in my Etsy shop. 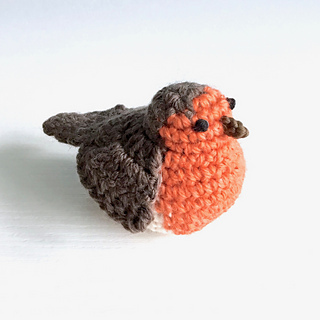 This pattern is available in UK, US and French versions. All files will be available for you on purchase and you can choose whichever you prefer to use. 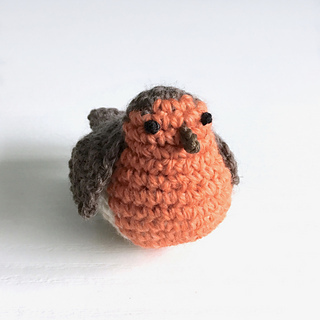 My crochet patterns include BOTH a detailed ‘tutorial-style’ set of instructions with colour photos, AND a succinct unillustrated pattern using standard crochet conventions. I have developed this style because I find I like to see a lot of detail the first time I work a pattern, but if I then work the same piece again, I don’t need the pictures, etc, and indeed they can get in the way when I just want a quick reminder of what I’m doing. The PDF is also structured so that the succinct version, with an area for your own notes, is on a single page, making it easy to just take one sheet of paper with you if you have printed it out for quick reference on the move. 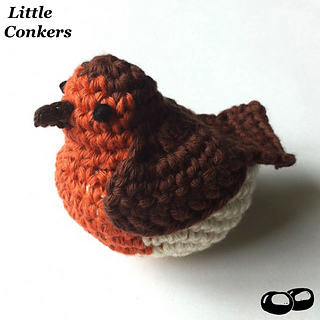 Once purchased, this pattern remains the copyright of Little Conkers. You may not reproduce all or any part of this pattern. 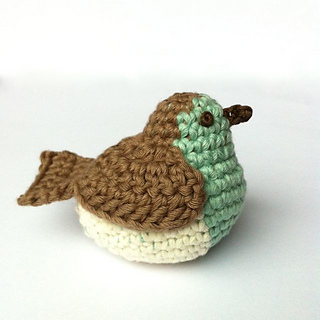 Please do not sell items made from this pattern, without express prior permission and credit.